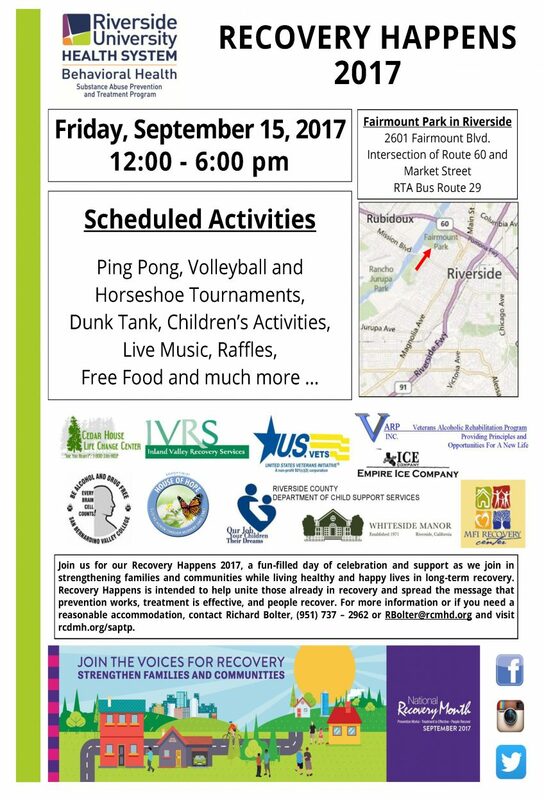 Join us for our Recovery Happens 2017, a fun-filled day of celebration and support as we join in strengthening families and communities while living healthy and happy lives in long-term recovery. Recovery Happens is intended to help unite those already in recovery and spread the message that prevention works, treatment is effective, and people recover. For more information or if you need a reasonable accommodation, contact Richard Bolter, (951) 737-2962 or RBolter@rcmhd.org and visit rcdmh.org/saptp.